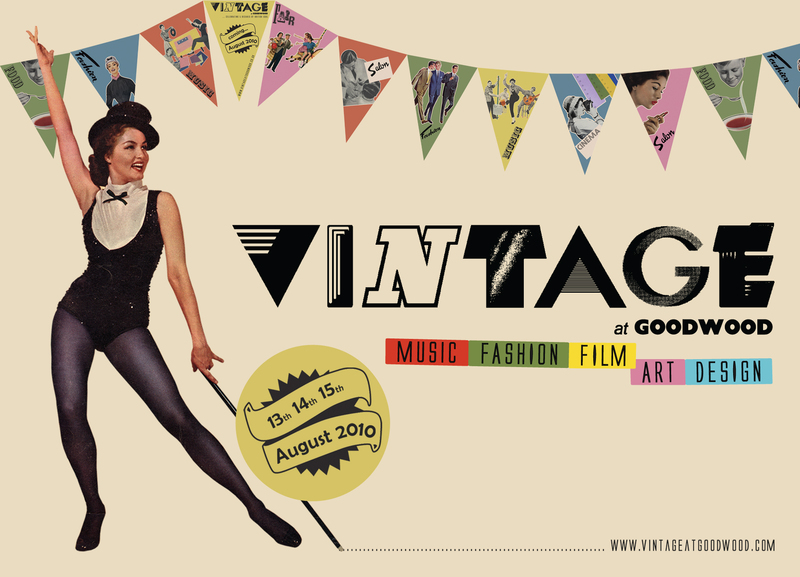 In just two weeks, we will be at the first ever Vintage at Goodward Festival and we couldn’t be more excited! Created by Wayne & Geradine Hemingway MBE and Lord March, Vintage promises to be a unique music and cultural event, bringing together and celebrating 5 decades of British cool – all held in the glorious surroundings of the Goodwood estate. Music, Fashion, Film, Art & Design. It is an invitation for you to take part in Think Act Vote Refashioned. You can make your very own Think Act Vote one off piece and then have it photographed to be in our book, as well as a post online about how you went about your customisation. You will be in very capable hands as the workshops will be led by Laura Metcalf and Alison Lewis who met on set of a channel 4 television pilot, they have been working together most recently on alterations and repairing vintage clothes at Clerkenwell Vintage Fair in London. Laura Metcalf graduated in Costume at London College of Fashion and since then has worked on many projects including shoots for Stella Magazine and Britain’s next Top Model, she has participated in the Costume department for The National Theatre and English National Opera as well as on various short films. Laura worked for Jasper Conran over the last 2 years on the Womens wear collection and Bridal couture and has since then begun a freelance career in the Fashion/ Costume world. Alison Lewis graduated in Fashion Design at Brighton University and has since then been working freelance for the fashion, costume and props industries. Alison has worked on period costume at the Theatre Royal, Suffolk and on various modern day short films. Over the last year she has been assisting Stevie Stewert as a maker and pattern cutter for performances by Michael Clarke for dance and with music artists such as Kylie and Leona Lewis. Alison has also assisted fashion designers Laura Miles and Milena Silvano on their recent collections, she is currently working with stylist and designer Kate Halfpenny. You will have a chance to be photographed in the new pieces created in the workshops and in our t-shirts and dresses for the book. We are lucky to have James Wicks taking photographs for us at Vintage. We have an exclusive 10% discount on weekend tickets in our newsletter which we are sending out on Tuesday, so if you want to take advantage of this discount – sign up here.